It feels like a salad kinda day don't you think? If you haven't noticed, i'm a salad person any day anytime. i love having salads alone, with rice dishes, moi moi dishes or even alone. 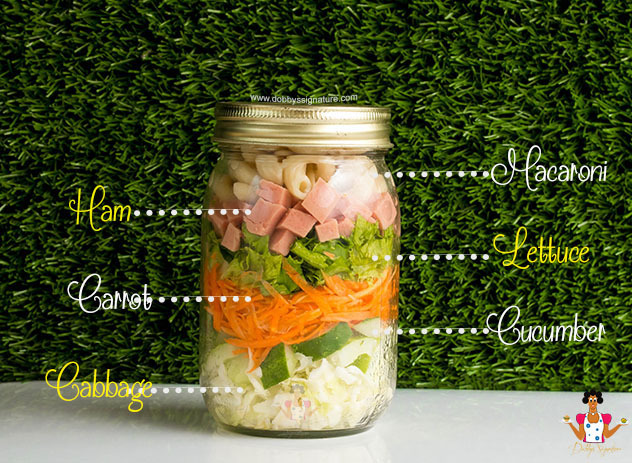 This is because salads are pretty easy to make and they go pretty well with most of the dishes mentioned. Today, i'd be sharing this easy salad recipe i make with ham and macaroni. Ham is simply the cured leg of pork. It may be fresh, cured, cured & then smoked. There are also other types of ham such as Turkey ham. This is a ready to eat product made from cured meat from the thigh of turkey. 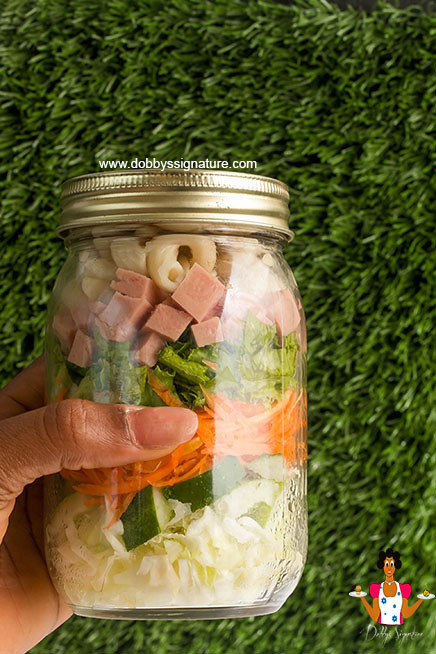 For this recipe, i used the ready-to-eat turkey ham. 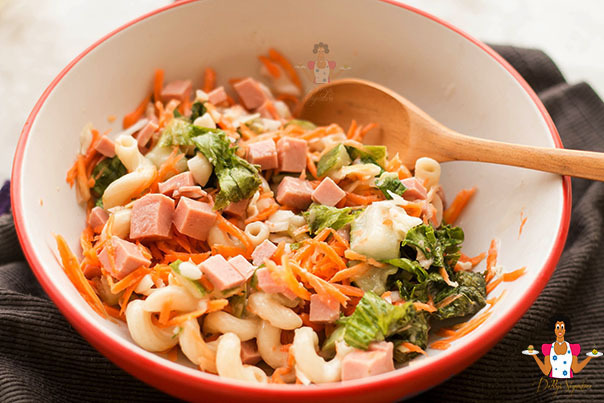 I love this tasty salad dish with ham and macaroni. I'm sure you will too. Step 3: Combine all the ingredients in steps 1 & 2 together in a bowl. Add mayonnaise and mix well. Step 4: Place in the refrigerator to chill until ready to serve. Enjoy! To replace Ham,Eggs would be fine right? Thank you. Love it, I'll try it soon.